On August 27, 1972, fresh off their now-legendary European tour, the Grateful Dead traveled to Veneta, Oregon and reunited with the Merry Pranksters to throw a benefit concert for the Kesey family’s Springfield Creamery. 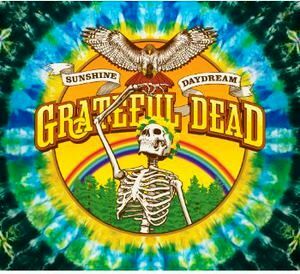 The show, which was recorded and filmed but never released, has since become the most-requested live show in Grateful Dead history. The concert – which is considered to be the Merry Pranksters’ last “Acid Test” – offers a snapshot of the band at the peak of its playing prowess and features the classic lineup of: Jerry Garcia, Donna Jean Godchaux, Keith Godchaux, Bill Kreutzmann, Phil Lesh and Bob Weir. The setlist that day included memorable performance of “Sugaree,” “Deal,” “Black-Throated Wind,” “Greatest Story Ever Told,” “Bird Song” and a mind-melting version of “Dark Star” that stretches over 30 minutes. This 3 CD/1 DVD Concert film was painstakingly restored with all-new stereo and 5.1 audio mixes done by Jeffrey Norman and mastered by Grammy-winning engineer David Glasser. 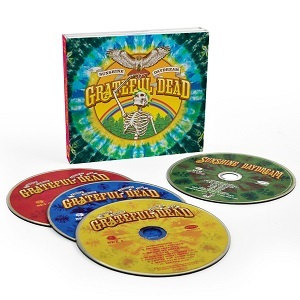 Entire concert mixed and mastered to HDCD from the original 16-track tapes. Producer’s note by David Lemieux. Package features original tie-dye by Courtenay Pollock and brand new cover art by Grammy-winning artist Steve Vance.